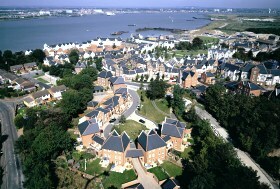 Fastrack is a long term project linked to major regeneration and housing delivery in the Kent Thameside area. The exact timings of various stages of development are difficult to determine, but this section describes how the Fastrack network is expected to develop in the future. 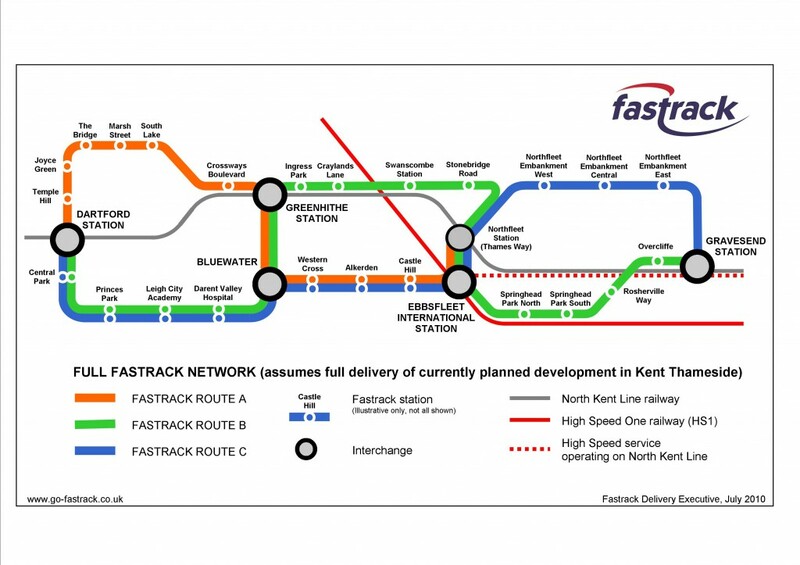 Fastrack B will be diverted to serve the new development in Springhead between Ebbsfleet International and Gravesend. 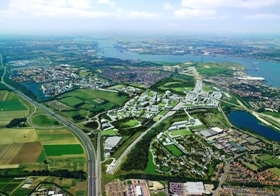 A strategic east-west route through Eastern Quarry linking Bluewater with Ebbsfleet International will be built (initially partly using a temporary route via Alkerden Lane immediately to the north of the Quarry). Fastrack routes will also serve new development on Swanscombe Peninsula and Northfleet Embankment when this takes place. 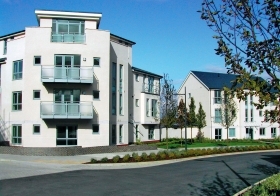 Fastrack will be seen to play a key role in the new Paramount Park development. The proposed network diagram provides an indication as to how developments could be served by the final Fastrack network, the exact routing to be determined nearer the implementation date.